Bandai Namco hasn’t exactly been the best steward of the Ace Combat series. After the somewhat controversial mainline installment early in the Xbox 360’s lifespan, we’ve only had spin-offs and experiments to tide us over. 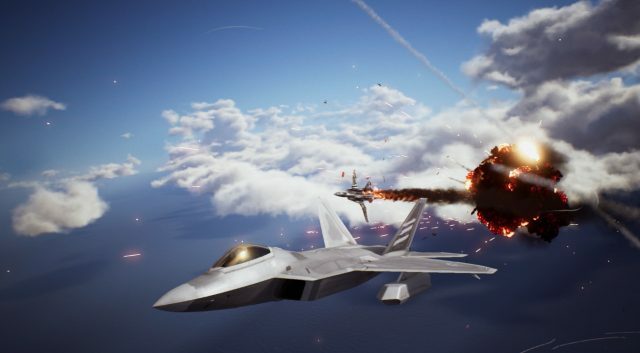 But after a decade of thumb-twiddling, arcade flight enthusiasts finally have something to crow about with Ace Combat 7: Skies Unknown. Mike Epstein reviewed Skies Unknown at our sister site IGN, and he deemed fit to give it a Good score of 7/10. There’s a lot of praise for the visuals and classic dogfights, but Epstein found the story lacking. Still, he seems very bullish on the future of this long-running series. A different reviewer, Tom Marks, gave the PSVR mode a look-see, and thoroughly enjoyed the experience of being inside the cockpit. Sadly, this is a separate mode without a ton of content to back it up. It’s worth checking out if you have a headset handy, but it’s incredibly disappointing that the entirety of the game isn’t VR-compatible. As of now, there are 48 reviews tracked on Metacritic, and the game is sitting at an average of 81/100. IGN is toward to lower-end of the reviews, but outlets like Twinfinite and Wccftech scored the game in the low 90s. By and large, it seems like fans of the pre-6 installments will be happy with this release. The Digital Foundry team analyzed Ace Combat 7, and the results are mostly good news. The developers opted for the tried-and-true Unreal Engine 4 to create an undeniably attractive world, and they’re targeting 60fps to live up to the PS2-era legacy. Fantastic, right? Right?! On the PS4 Pro and Xbox One X , we’re getting a solid 60fps at a native 1080p. Neither version is exceptionally sharp, and the Pro is surprisingly slightly better at sticking to 60fps, but it’s still a pleasant experience with the smoothness long-time players crave. If you want high-res gameplay, you’re just going to have to wait for the PC version in February. But if you’re still using a base console, you’re in for some disappointment. The vanilla PS4 renders slightly below 1080p in most cases, so there’s some softness to the image. Worse still, it can’t quite maintain the 60fps target, so it bounces around in the 50s during even quiet moments. As for the Xbox One S, it’s stuck at a measly 720p, and has the worst performance. With dips down to 30fps during busy moments on Microsoft’s budget machine, it’s hard to recommend to anyone but the most diehard Ace Combat fans. The cherry on top? DF’s John Linneman reports that using sleep mode can cause intermittent performance issues. So if you wake up your console to find a stutter-y mess, you’re probably going to want to restart the game. Hopefully, this issue will be fixed on the double.